Is Polaroid’s SC1630 Smart Camera the elusive, happy medium between cameras and phones? You’d think things would be rather quiet at the Polaroid booth during CES. The legacy brand is tied to its auto-print cameras, which have remained despite our digital times. But Polaroid is doing its best to embrace connectivity and give some new interpretation to the concept of “instant” with a new addition to its product lineup. Last year, Polaroid showed off some fairly conceptual gadgets, including the GL10 instant printer and GL13 instant camera, both of which were geared toward dual digital and print photos. The company is taking this route again with its latest release, the SC1630 Smart Camera. The SC1630 Smart Camera is essentially a smartphone — something Polaroid didn’t reveal in the press release. It reminds us of a concept camera that drummed up quite a bit of attention at CES last year, the WVIL, weaving together the best elements of smartphone cameras with better optics. It runs Android and features all the benefits of a smartphone operating system, including Wi-Fi access, a touchscreen, apps, and of course portability. And it combines all this with a much more powerful camera: It has a 16-megapixel CCD sensor, 3x optical zoom and 5x digital zoom, 32GB of memory via microSD card, HD video capability, and can capture images at 36mm or full 108mm magnification. 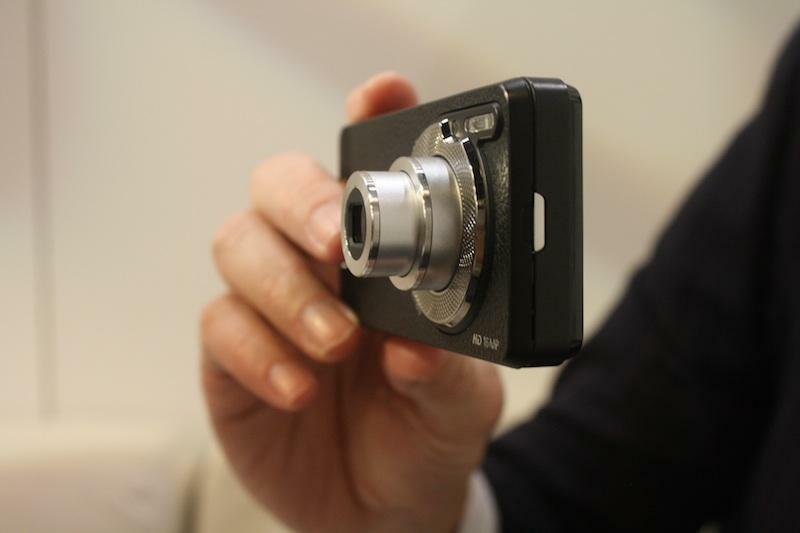 The smart camera is shaped most like the iPhone 4, and weighs about 5 ounces with a 3.2-inch widescreen display. It’s nowhere as crisp or bright as any high-end smartphones, however. There are obviously a few limitations. First of all, the fact that this is not only a camera but also a 3G phone will likely make it more expensive (pricing hasn’t been revealed yet). Currently, Polaroid is in talks with carriers but nothing has been decided yet. So as it currently stands, this is a smartphone (or smart camera) without a network. No word yet on what a data plan will cost either. It’s sort of a premature attempt on Polaroid’s part to blur the lines between pocket point-and-shoots and smartphone cameras. There’s definitely a disconnect here on how digital camera companies can best bridge the gap for consumers, and find the sweet spot on integrating these devices best. No one wants a good phone with a bad camera, and no one wants a bad camera with a good phone (even as ridiculous as that may sound, its definitely on its way). The strangest part is that Polaroid seems undecided about how much weight it’s going to throw at the smartphone attempt. Originally, outlets were reporting that this was a smartphone with a capable camera and no phone connectivity. But since then, Polaroid has admitted the device will be able to make calls. 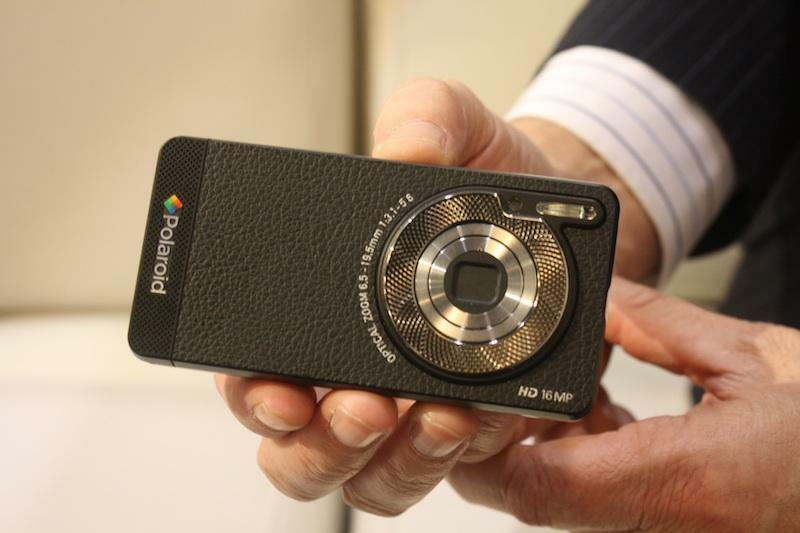 Specs are still being finalized, but from the sounds of it, this is something of a project for Polaroid: CEO Vorona said eventually the SC1630 wants to serve as both go-to camera and go-to phone for a consumer. Which means the company has a ways to go. It’s definitely an entry-level camera and a below-average phone. So there are plenty of things to critique here. But the idea is sort of amazing: Many Instagram fiends would love to have the thousands of photo apps built into a better camera that has social-integration abilities as well. And more than a few of us hate the sub-par quality of our smartphone cameras. There needs to be a way to wed this, and Polaroid might be on to something. 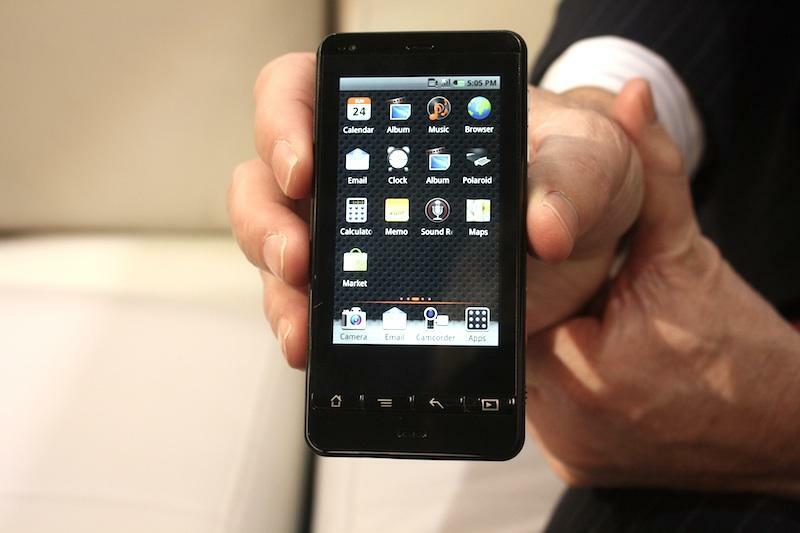 While details of the release haven’t been confirmed, we’ve heard the device will cost $300 and be available in April.